Number of AVIXA Certified Technology Specialists audiovisual professionals reaches 1000 in Europe. CTS program gains more international recognition for audiovisual professionals. Amazon becomes even more of an AV company, discussing what makes an AV system “mission critical”, and what it takes to be a global AV provider. Talking with IAS Technology’s Jeremy Caldera about his time on the CTS Steering Committee, volunteering at AVIXA, and the future of the CTS program. Audinate makes Dante level 3 certification available online. The value of attending classes in person. Audinate’s Dante Level 3 is now available to take and get certified, online. Our panel, this week, discusses the strengths of online audiovisual education and in-person AV training. The best way to assess what your employees have learned at these trainings. AVIXA has a new lighting for video conferencing standard as well. 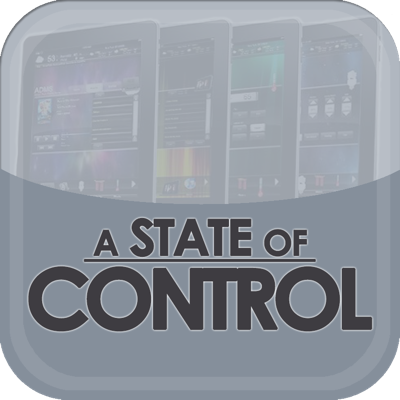 State of Control 45: Crestron, AMX, and other programming companies have several levels of certification. A year ago Crestron introduced their “Diamond” level programmer. Today’s panel is three of those Diamonds talking about what these certifications mean to customers and those outside the audiovisual industry.